If you have a damaged or missing tooth, a dental crown can help restore your smile. Inri T. Hsu, DMD has extensive experience in restorative dentistry and can work with you to build a crown that blends in seamlessly with your smile. If you need a crown, It’s essential to have a dental exam and prevent your condition from worsening. 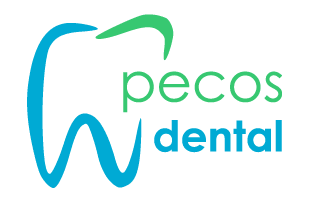 To book an appointment with Dr. Hsu and her team at Pecos Dental in Henderson, Nevada, call the office or schedule online today. Dental crowns are also common after getting a root canal and are used to replace the surface of the treated tooth. Modern dental crowns are designed to match the color of surrounding teeth, allowing your restorative piece to pair perfectly with your smile. From what materials are crowns made? Dental crowns can be made from ceramic, porcelain, metal alloys, or a composite material. These materials closely resemble the strength, texture, and color of your natural teeth. These materials are resistant to decay, and with good oral hygiene, your crown can last a lifetime. That's why it’s critical to see Dr. Hsu and your hygienist at least twice a year after getting a crown. During your visit, they will clean your gum line and remove lingering bacteria that could cause decay. What happens during a crown appointment? If you need a root canal or have decay that needs to be treated, Dr. Hsu may perform these procedures before placing your crown. In some cases, these treatments and procedures are performed during separate visits. At your appointment, Dr. Hsu will prep your tooth by removing the outer layer so that a crown can be placed over it. You will then have an impression made of the prepared tooth and, if needed, a temporary crown placed on top. Dr. Hsu will send your impressions to a specialized lab where they will make your custom crown in about a week or two. During your next visit, Dr. Hsu will permanently bond your crown to your prepared tooth and will file down any areas that may be bothering you. She might schedule one additional follow-up appointment to make any necessary adjustments to your crown, or if you feel like your bite is off. If you’re experiencing pain or have tooth decay, schedule an appointment to determine if a dental crown can ease your discomfort and prevent further damage to your teeth. Call or book online today to receive expert care from Dr. Hsu and her team at Pecos Dental.